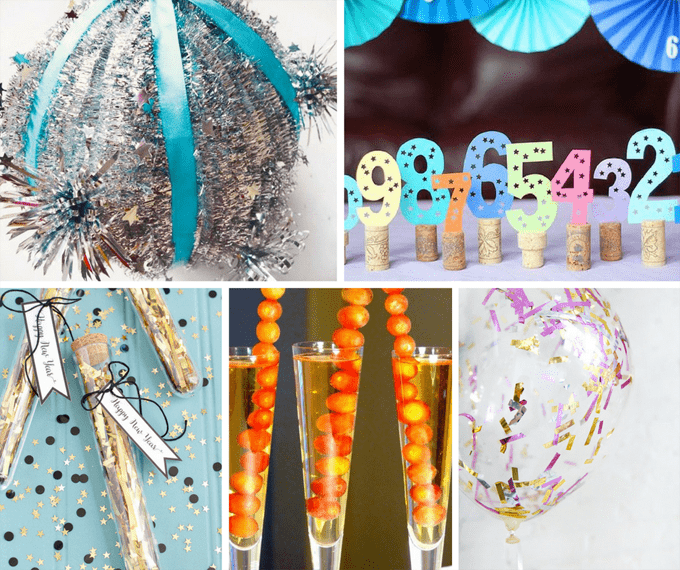 25 awesome DIY New Year's Eve ideas for your holiday party. Eek! It’s only a week before New Year’s Eve. How did this year go by so quickly? Throwing a party? Staying home? Going to bed early? 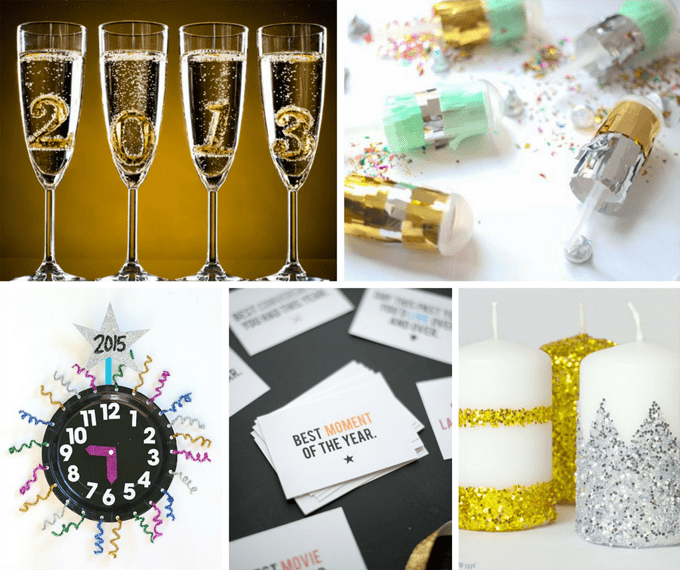 No matter what you’re doing for New Year’s Eve, here are a few good New Year’s Eve ideas to celebrate, even if just a little. Freeze number ice cubes for the champagne. Make your own poppers at Celebrations. Make a countdown clock at Buggy and Buddy. 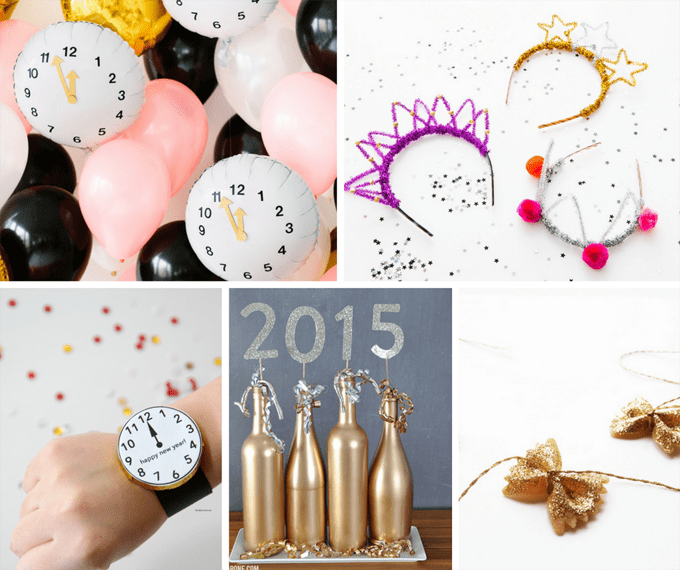 Find this printable New Years game at Alice and Lois. Make glitter candles at Kids’ Craft Room. 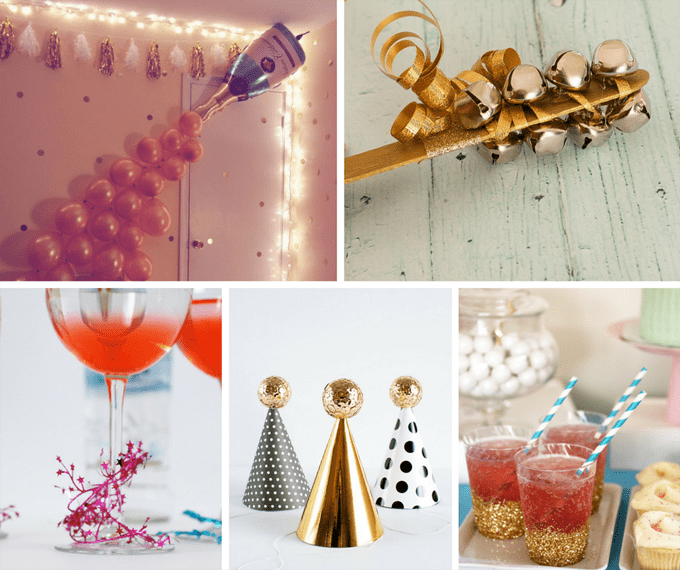 Make your own ball drop, in tinsel, at The Hostess with the Mostess. Have the corks count down at Fiskars Craft. 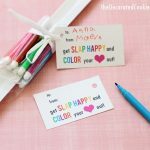 Make confetti favors (to vacuum up the next day) at A Pumpkin and a Princess. Don’t forget the 12 grapes at midnight, at Noble Pig. 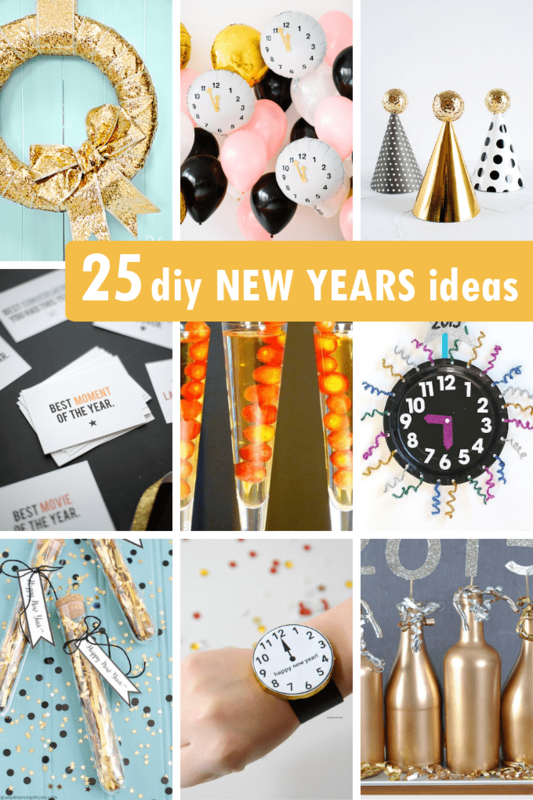 Make a balloon clock at The Suburban Mom. Glitter up plastic utensils at Sugar and Cloth. Print New Year’s Eve mad libs at The Idea Room. Make a golden wreath at The 36th Avenue. 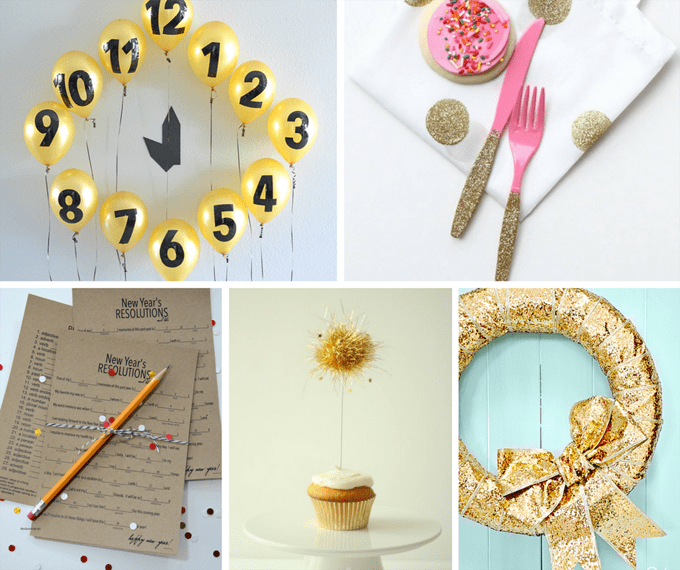 Make clock balloons at Studio DIY. Make pipe cleaner crowns at Brit and Co.
Make candy watches at The Idea Room. Make a golden wine bottle centerpiece at Vicky Barone. Make garland from bow tie pasta at The Gold Jelly Bean. Love this champagne wall decoration at Just a Virginia Girl. Make your own noise makers at Project Nursery. Mark glasses with tinsel at A Subtle Revelry. 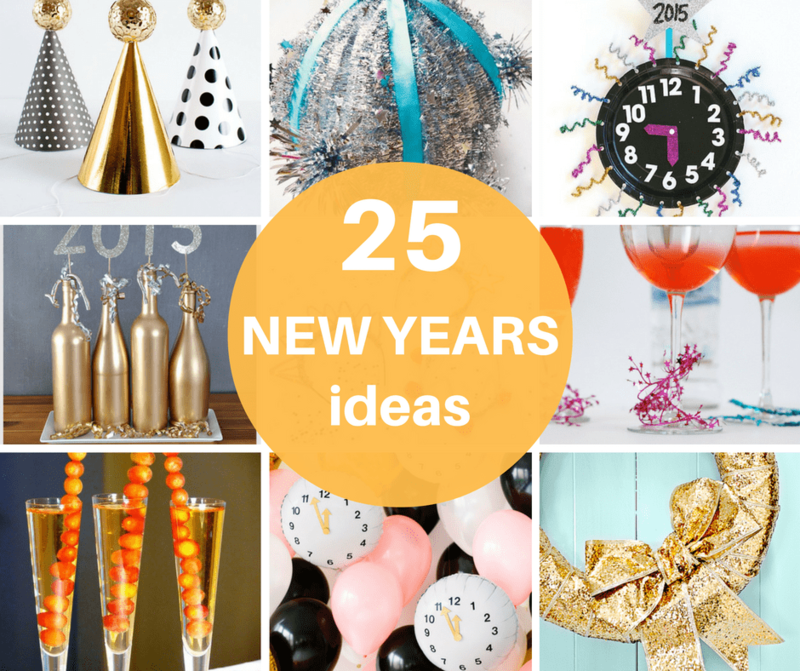 Make party hats at Pottery Barn. Cover your guests’ hands with glitter from glitter-dipped cups, from evite.